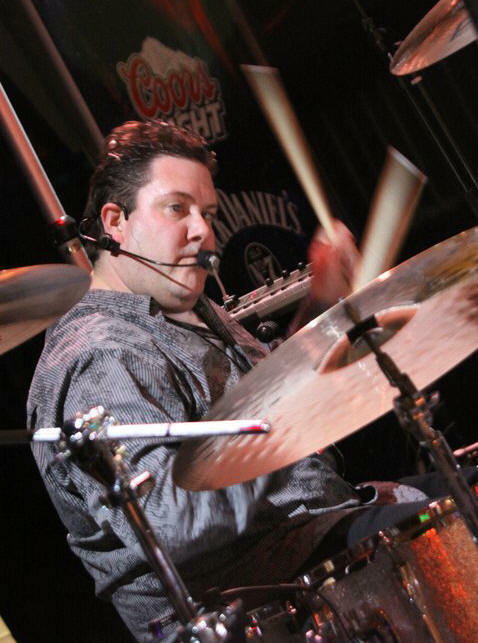 Sean Minardi's favorite band memory was performing at a club in Scranton Pennsylvania with his Top 40 Band, hitting the Turnpike that same night to perform at The Rock-n-Roll Half Marathon in Virginia Beach with his Classic Rock and Blues Band at 5AM, only to be on the road again to perform with his tribute band in Atlantic City. Sean Minardi hails from Rockaway Beach, New York and lives just 600 feet from the famous Ramones Recording Studios. This lead singer and professional drummer has been schooled in all types of music, has performed since the age of 4 and today continues to play drums and sing with the Metropolitan area's most musical bands. His influences over the years have been Neil Peart, John Bonham, Todd Suchermann, Keith Moon, Larry Mullin, Carl Palmer, Bill Bruford, Carter Beauford, Alan White, Mike Portnoy, Guy Gelso (whom Sean has studied under) and many of today's modern drummers. By day he is a professional sound engineer for a major music label in Manhattan. Mr. Minardi has performed in front of large crowds on New Years Eve at The Fremont Street Experience in Las Vegas, Summer of the 70s Las Vegas, for the Grand Opening of The Hard Rock Seminole in Hollywood Florida, the 1st Anniversary of Borgata Hotel and Casino in Atlantic City, participated in the Long Island Blues Festival, Rock-n-Roll Half Marathon, received a regular Saturday night stint at famous Connolly's Irish Pub in New York City and The Smiths' Bar; several Hard Rock's properties, Atlantic City Hotels and Casinos, the Hamptons and have been on the same ticket as The Killers, Journey, Jewel, John Meyer, Foreigner, The Little River Band, Blues Legend Innes Sibun and many others.